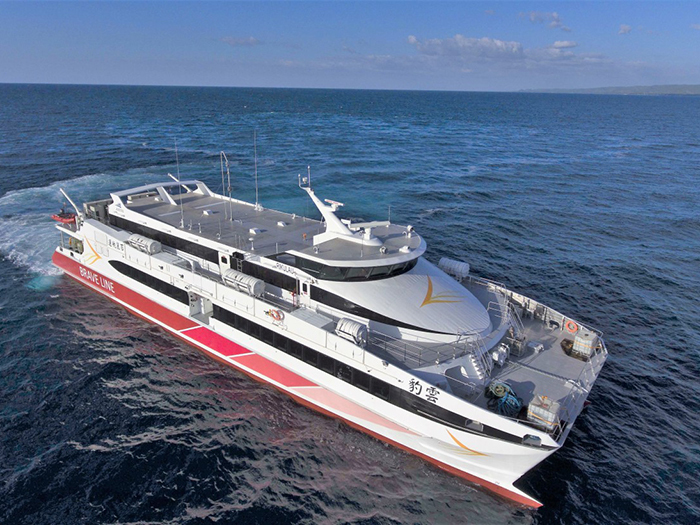 Austal Limited (ASX: ASB) reports that its shipyard in Balamban, Cebu, Philippines, has delivered the first of two 50 meter, 550 passenger high-speed catamarans to Taiwan’s Brave Line. The vessels include an optimized hull form for improved fuel efficiency and passenger comfort and are being built under a contract awarded in September 2017 that was the shipbuilder’s first of its kind from Taiwan. 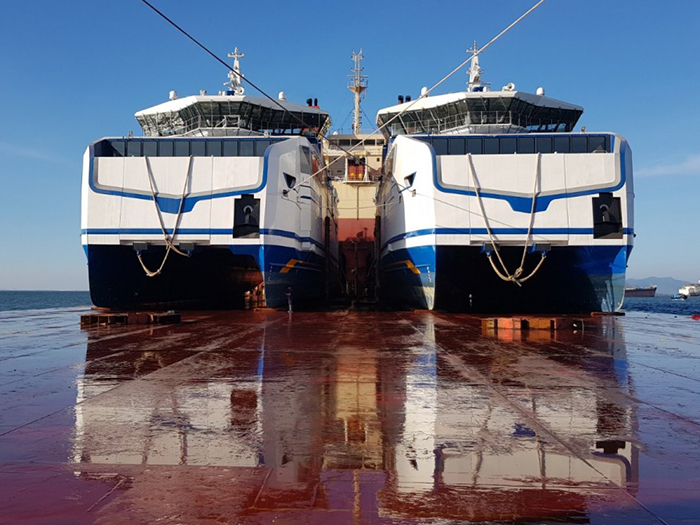 “Following its establishment in 2012, we have recently trebled construction capacity at the shipyard to provide the capability to build the largest ferries in Austal’s portfolio and play a leading role in this sovereign industrial capability development for the Philippines,” said Singleton. 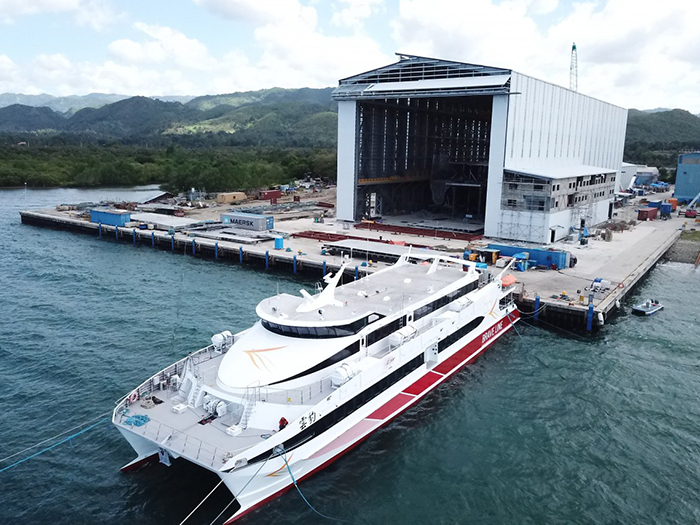 Upgrades to the Philippines yard have included construction of a new assembly hall measuring 120 m long, 40 m wide and 42 m high, enabling Austal Philippines to build large ferries. Currently under construction at the facility is a next generation, 109 m high speed catamaran for Fjord Line of Norway. When completed, it will be capable of carrying up to 1,000 tonnes and transporting more than 1,000 passengers and 425 cars at speeds over 40 knots. During testing, a sister ship built for Molslinjen of Denmark at Austal’s Henderson, Western Australia, shipyard achieved a top speed of 47.8 knots (88 km/hour).